I'm a truly versatile accessory. 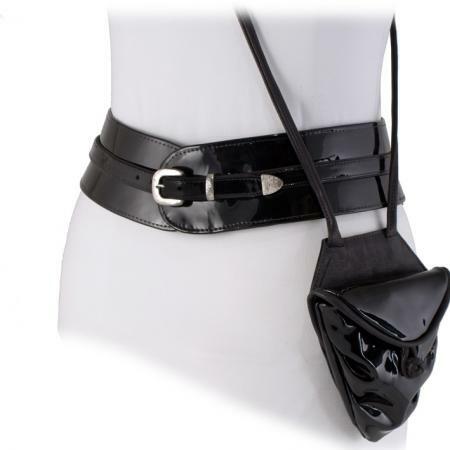 I can be worn with or without the ditty bag, which can be used separately as a small across the shoulder bag. My curve is the same as the Curve Perfect belts, I hug your hips, feel great to wear, and have a slimming effect on any woman. I have a great easy access outer pocket just for your iPod or cell phone, and a nifty inner pocket perfect for tickets or business cards. 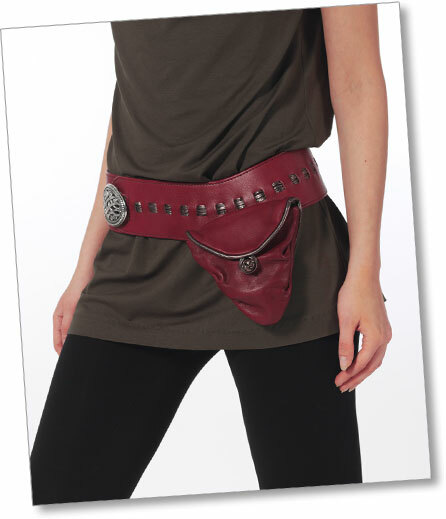 Curve Perfect belt w/ removable bag, and long shoulder strap. Alternate color or texture. 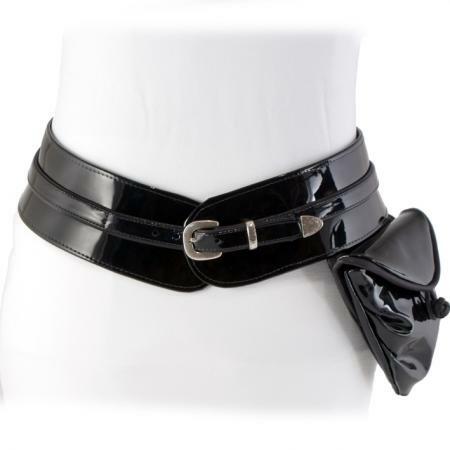 Exchangeable HARK Buckle. 1 outside, 1 inside pocket. Formgeschnittener Ledergürtel mit abnehmbarer Tasche. Gürtel mit eingeflochtenem Lederband. Austauschbare HARK-Flügel Gürtelschnalle. Tasche kann mit mitgeliefertem Schulterriemen separat getragen werden und hat je eine Innen- und Aussentasche.